When it comes to live dealer casinos necessity is truly the mother of invention. In an effort to create a more realistic live casino gaming experience for gamblers, online casinos came up with the bright idea of introducing a croupier into the online gaming platform. The main games available at live dealer casinos are Blackjack, Roulette, Baccarat, Sic-Bo and Casino Hold’em. In this article the most common of these gambling games – Roulette and Blackjack are discussed. Are there similarities between live blackjack and live Roulette? How does live Roulette differ from live Blackjack? What are the pros and cons of live Blackjack versus the pros and cons of live Roulette? Which of the two offers the best odds? So, live roulette or live blackjack? 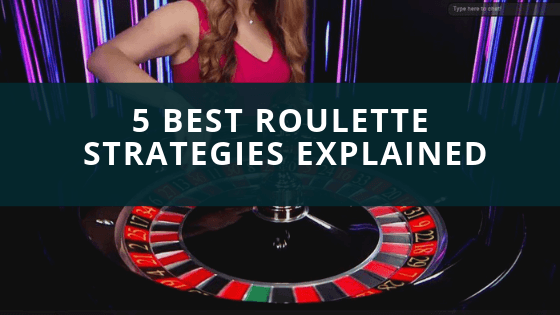 Since live Roulette and live Blackjack are all online gambling games, there are a number of similarities that that exist between them. For instance, they both have the element of a live dealer being present, like every other live casino game of course. Both offer to the online gamblers a video link of the actual gaming tables so that they can see the events of the game unfold. The gamblers are also allowed to have a live chat with the dealer. The differences between live Roulette and live Blackjack are quite significant; in live Roulette the gamblers rely on pure luck to get a win while in live Blackjack they employ elaborate blackjack strategies to secure a solid edge over the house. The events that occur in live Roulette are completely independent while in live Blackjack the composition of the deck changes the odds each time a card is dealt. In addition to this, the number of wagers placed per hour differ for the two games. So the question remains: live roulette or live blackjack? Lets have a look at the pros and cons of each. You can also check out our roulette vs live blackjack infographic for even more facts about the two popular casino games. The ambiance of a traditional brick and mortar casino is created by the presence of live dealers and real roulette wheels. This allows gamblers to experience the adrenaline rush of a real casino from the comfort of their homes. Streaming the events of the game live by the gambler further enhances the online casino experience as the video feed is crystal clear. The live video link allows the Roulette players to have a live chat with each other and with the Roulette dealer. Gorgeous dealers – in a bid to attract more clients to their online gambling sites, online casinos usually have attractive women as dealers. These ladies are pleasant to watch as opposed to animated figures. Higher stakes – since the online casino invests a lot of money in purchasing the relevant software and setting up the live Roulette the stakes are set at a higher level to minimize the losses incurred. As for any live online game, the gamblers must ensure that their bandwidth is reliable. This is key in ensuring that the gamer does not miss any of the live action. When it comes to convenience, nothing beats a live Blackjack game. Gamblers are able to play from the comfort of a remote location. The costs that a gambler would have incurred while visiting a land-based casino are non-existent. The presence of the live dealers allows the gambler to feel a sense of security and trust as they can see the events of the game as they unfold. The players are able to socialize with each other and with the live dealer. This creates a real life casino environment. The game can be quite slow as the number of players increase. This may irritate some players that want the game to proceed at a higher pace. Some gamblers still question the integrity of the live gaming conditions provided by the online casinos. The bandwidth of the gamer must be reliable at all times. This is crucial for proper gaming. Live Blackjack or live Roulette- which has the best odds? Statistically, live Blackjack has better odds than live Roulette. In a wise play, the gambler faces a house edge of 0.5% in a Blackjack game while in Roulette the odds are 1.35% -5.26% depending on the type of wheel used. While the odds of Roulette are fixed, those of Blackjack may change as the game progresses.